A man shot by a St. Anthony police officer in Falcon Heights, has died, according to family members. FALCON HEIGHTS, Minn. - A man shot by a St. Anthony police officer in Falcon Heights, has died, according to family members. 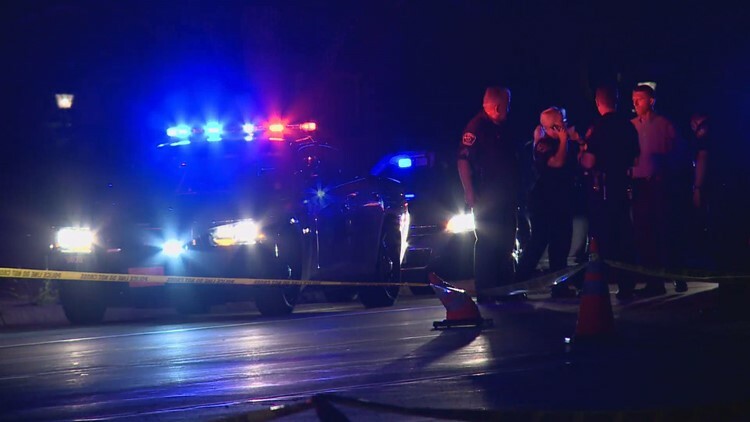 The officer-involved shooting happened Wednesday night in the area of Larpenteur Avenue West and Fry Street and the aftermath was broadcast on Facebook by a woman identifying herself as the victim's girlfriend. "Police shot him for no apparent reason," she states in the video. "No reason at all." Authorities say St. Anthony Police were conducting a traffic stop, allegedly for a broken taillight, when the officer fired shots at the man driving the vehicle. Police say he was taken to Hennepin County Medical Center for his injuries. A cousin of the victim identified him as Philando Castile. Police confirm he died Wednesday night at the hospital. Castile, 32, was an employee of St. Paul Public Schools, according to family. 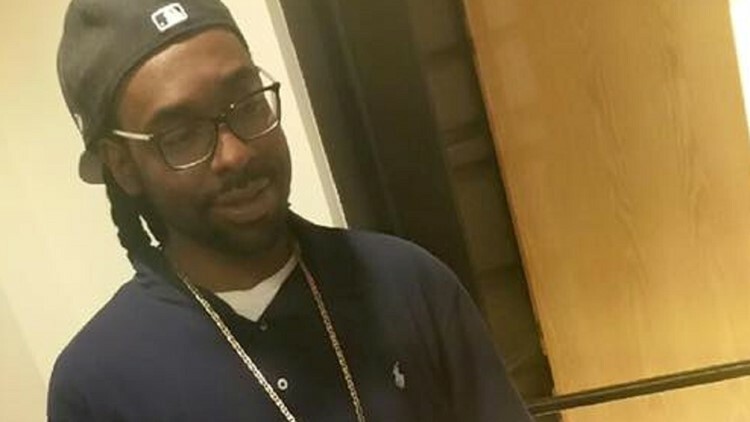 Castile's uncle told KARE 11 News he was an "upstanding young man." "He's not a gun guy, he's not a shooter, not a killer," said Clarence Castile, his uncle. Clarence Castile says Philando Castile had worked in St. Paul's J.J. Hill school cafeteria for 12 to 15 years. The officer involved in the shooting has been placed on standard administrative leave while the investigation continues. Family says Philando&nbsp;Castile was the victim of an officer-involved shooting in Falcon Heights late Wednesday night. He later died of his injuries at HCMC. Authorities say the girlfriend and her child were in the vehicle at the time of the shooting. Both did not suffer injuries in the incident. In the video, Castile's girlfriend pleads with him to "stay with me," as the camera pans across the car to Castile sitting in the driver's seat with a T-shirt soaked in blood. His girlfriend begins narrating what happened, saying, "They just killed my boyfriend." She explains they were pulled over for a "busted taillight" and that her boyfriend was shot by police after trying to grab his license and registration from his wallet. She said he told officers he does have a firearm on him -- because he's licensed to carry -- but said he wasn't going to grab it but was reaching for his wallet in his pocket. She said at that point, the officer fired "four to five times" and "shot his arm off." Police say shots were fired but did not clarify how many. In the video, the officer can be heard swearing and screaming that he told him not to move and "not to reach for it." She responds saying he was only trying to grab his wallet to get his ID. "Oh my God, please don't tell me he's dead," she says in the video. At one point, the girlfriend is ordered to leave the vehicle with her hands up. She obeys police orders and is told to walk backwards toward police, as they are seen with guns drawn. She's ordered to her knees and is eventually handcuffed and taken into custody. In the video, she asks why she's being arrested and an officer responds that she's just being detained "until we can sort this all out." The video looks up to the sky while she's detained but she can be heard screaming, "Please don't tell me my boyfriend is gone. Please Jesus, no. Please no!" At the tail end of the video, a little girl, identified as the girlfriend's daughter, can be heard saying, "It's OK, mommy." St. Anthony Police Interim Police Chief Jon Mangseth said they are aware of the video but wouldn't comment on specifics. "I was made aware there was a live stream on Facebook, but I don’t know anything about it," he said. "I haven’t seen the video." Mangseth said the officer involved in the shooting has been with the department for at least five years. He said having an officer-involved shooting within his department is rare. The Minnesota Bureau of Criminal Apprehension is at the scene investigating. A crowd of more than 200 people have also gathered at the scene to protest Castile's death. The crowd was chanting, "We will stand our ground. We will not move," as officers attempted to clear the area. 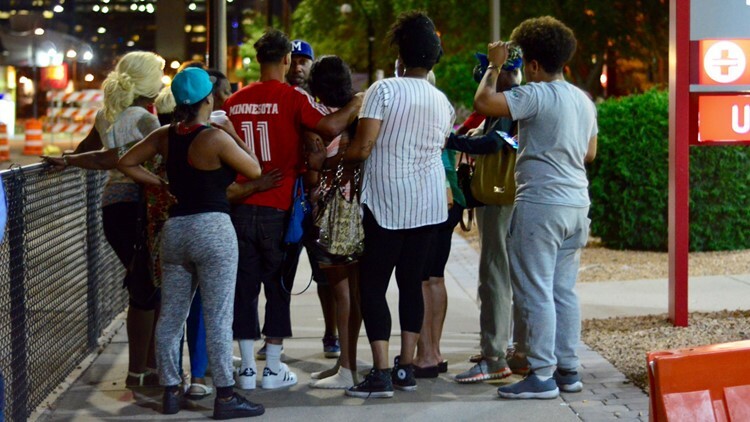 KARE 11 staff at the scene reports the crowd has been calm, some holding candles to honor Castile while others sat and stared as the investigation continued. Once the scene cleared, the crowd of protesters marched to the Governor's Mansion, where they demanded Gov. Mark Dayton come out and make a statement about the shooting. Officials with Black Lives Matter Minneapolis said on Twitter that they would stay until that happens. A second crowd of family and friends also gathered at HCMC to remember Castile and mourn his death. Reports say the family eventually left the hospital and went to the Hennepin County Medical Examiner's Office.